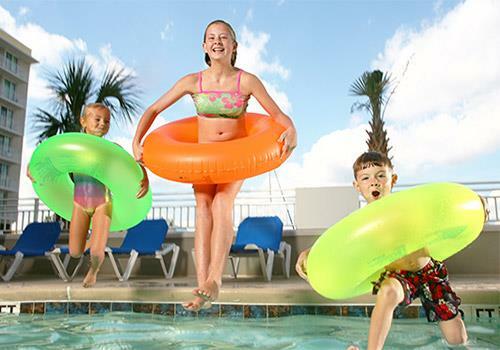 Ideal for families, groups, couples and more, Harbourgate Marina Club offers comfortable and spacious accommodations in North Myrtle Beach. 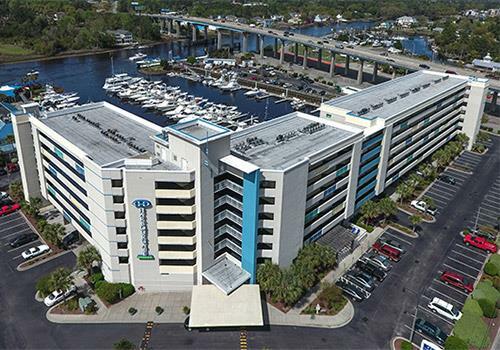 The Intracoastal Waterway hotel offers access to an outdoor pool and whirlpool spa, a fitness center, a business center, on-site dining, a full-service marina, water activity rentals, complimentary wireless Internet access, and more. Waterfront restaurant & Tiki bar. Free Greens Fees at up to 11 area courses. 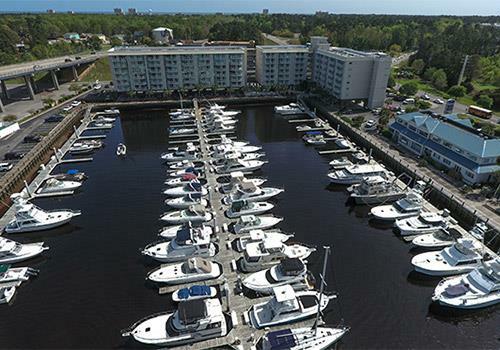 Harbourgate Marina Club – Where boat-lovers love to stay! 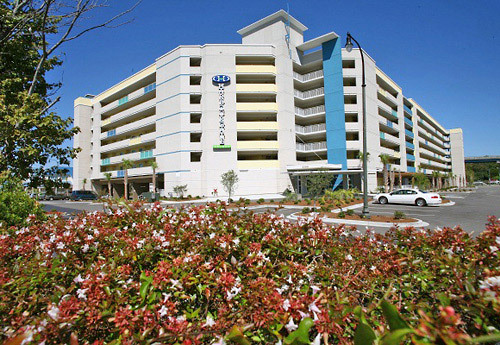 Cruise in or drive to this resort and marina located on the Intracoastal Waterway in the heart of North Myrtle Beach. Enjoy all the comforts of home, including high-speed Internet. 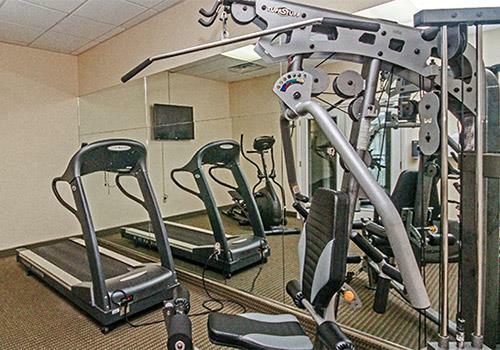 The resort features all non-smoking rooms. On-site amenities at Harbourgate Marina Club include an outdoor pool, outdoor whirlpool, Fitness Center, waterfront restaurant & tiki bar, and a full-service marina with boat slip rentals. Boaters will love our unrestricted ocean access and transient boaters are welcome, with 100 boat slips available for rent. Families can enjoy jet ski & boat rentals, plus deep-sea sport fishing and cruises. At Harbourgate Marina Club, the Intracoastal Waterway is at your doorstep and the Atlantic Ocean is just a few miles away. Located just minutes from great shopping and entertainment, Harbourgate is the perfect location to enjoy all that North Myrtle Beach has to offer. Our quaint North Myrtle Beach SC hotel features 111 spacious suites featuring one, two or three bedrooms, each with a living area, kitchen and private balcony. 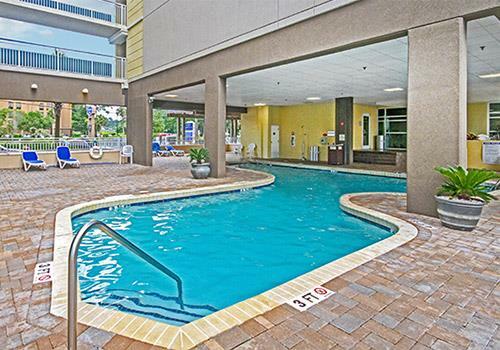 Harbourgate also offers amenities such as an outdoor pool deck, an outdoor hot tub, nearby dining, and complimentary wireless Internet access. Take advantage of our prime location on the Intracoastal Waterway for deep-sea sport fishing, cruises, jet-ski rentals and more. 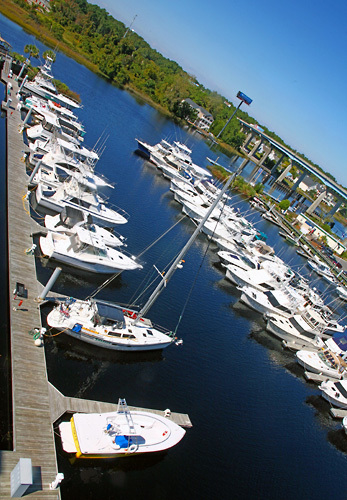 When searching for the perfect resort in North Myrtle Beach, look no further than Harbourgate Marina Club. How many rooms are available at Harbourgate Marina Club? There are 108 rooms total. Are all units located in one building? How many adjoining rooms are available at Harbourgate Marina Club? Yes, there is a restaurant and tiki bar on-site. 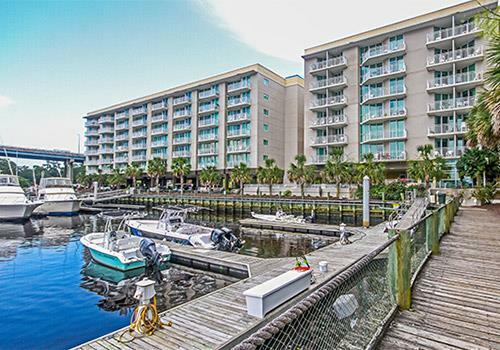 Harbourgate Marina Club has a Resort Fee of $7.50 plus tax, charged nightly for length of stay. Is Harbourgate Marina Club pet friendly? Is there a charge for cribs, rollaways, microwaves, fridges? No charge for cribs, microwaves or fridges. Rollaways are not available. 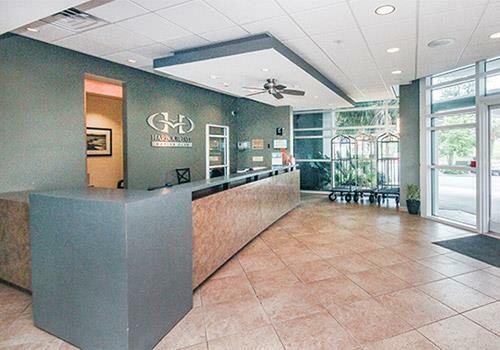 Onsite parking is available – no need to cross any streets. No. 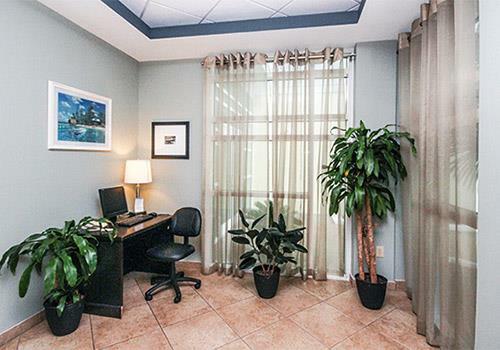 There is not a 24 hour front desk. Hours of operation are 7am-11pm. If checking in after 11pm guest will need to call 843-417-1177 to make arrangements.